Awhile ago I had written about the question of where Thomas Burnham of Windsor, CT was originally from. You can read that post here: The Confusing Origins of Thomas Burnham. The question of his origins are still not answered, and we have other ongoing mysteries surrounding Thomas Burnham, one of those being whether or not he was in Barbados before arriving in Connecticut. Last year I was contacted by Burnham researcher, Jim Burnham, of Massachusetts. He is descended from Thomas of Windsor. He has been interested in the Barbados connection for many years and had visited there in 1980s where he had seen a marriage and burial record for a Thomas Burnham. He found records that indicated that Thomas was a sugar cane farmer on the island. Jim didn’t have copies of those original records and so has been searching more recently for information on this “Thomas of Barbados”. Jim contacted me yesterday with a new find. 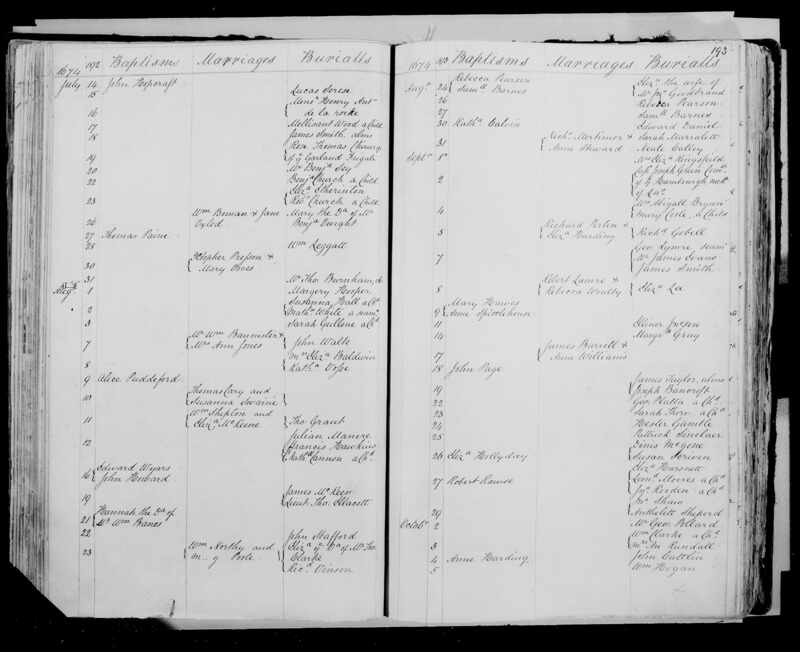 The LDS Family Search website has images of the original records. Jim was able to find the burial record that he had located in the 80’s. This shows that “Mr. Thomas Burnham” was buried from St. Michael’s, Barbados on 1 Aug 1674. 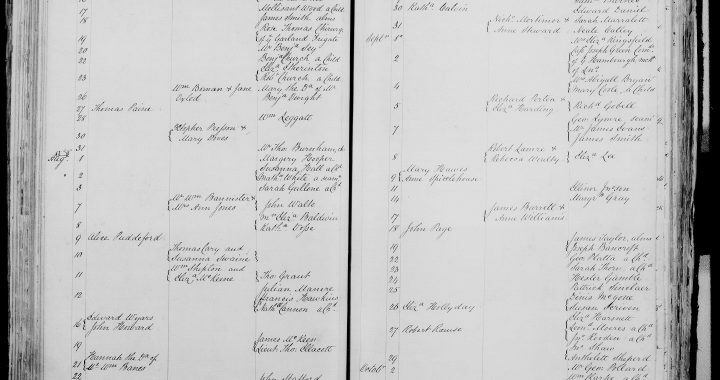 This burial record proves that the Thomas Burnham in Barbados was not the same individual who settled in Windsor, CT in the 1640’s. That Thomas died 28 Jun 1688 in Windsor, Hartford, CT. There are enough mentions of Thomas in Windsor over the years to prove that he was in Connecticut continuously between his arrival there and his death. Now, there may have been another Thomas Burnham (We know that there was a Thomas Burnham in Ipswich, Mass that was a contemporary of Thomas in Windsor, but that’s a whole other confusing issue) that remained in Barbados, and the Windsor Thomas was there prior to arriving in Connecticut, however, I have the feeling that these records found by Jim Burnham, are the source of the “Barbados rumor” we have read over the years. Jim is going to try to locate the marriage record in the LDS Barbados records and promises to share his findings. In the meantime we welcome any other documents that Burnham researchers may have to either prove or disprove the “Barbados Rumor”.